This is a lovely apartment in Barcelona, located in the quieter area of Horta-Guinardó. It is perfect for those looking to stay just outside the bustling city centre, but still within reach of it with only a 10 minute metro journey. 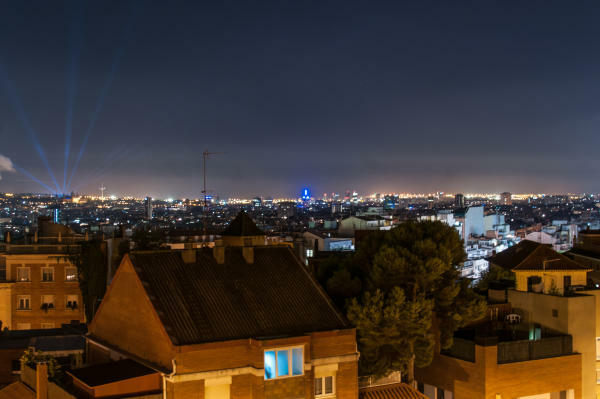 This area of Barcelona is a little hillier, providing you with some great views of the city from this delightful apartment. The apartment itself has one bedroom with a double bed, plus a double sofa bed in the living room for two extra people. There is one bathroom with a walk-in shower, and the kitchen is fully equipped with everything you´d need to prepare some delicious home-cooked meals which you can enjoy ´al fresco´ on the balcony or private terrace. The apartment has plenty of amenities, including a WiFi connection, washing machine, iron and ironing board. It also has air-conditioning and heaters making it the ideal place to rent in any season. Horta/Guinardó is located in the northeast of Barcelona and is one of the largest districts in the city. The area is significantly more tranquil than the bustling towns of the city centre, although it is easy to reach all of the sights in Barcelona by bus or metro from this corner of the Catalan capital. The area is known for its steep hills, as part of Horta-Guinardó lies on the Collserola Mountain range. You will also find the lovely Parc del Laberint d´Horta in this district, which is Barcelona´s oldest garden, featuring a labyrinth made up of 750 cypress trees. If you´re looking for a quieter base for your trip to Barcelona, without venturing too far from the main sights and attractions of the city, then an apartment in Horta-Guinardó is an ideal choice.